Olive is a plain speaking, almost-not-nice woman, but she sure is interesting. In this novel-in-stories form, Olive is not always the principal focus of the particular story, but she always appears, however briefly. Each portion of the book deals with a different character, giving us their back story and current life. All the stories point out the sadnesses that all lives contain, even the live seemingly the happiest on the surface. 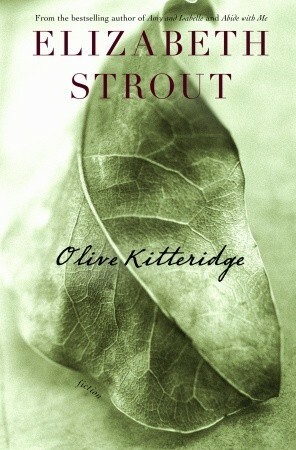 Olive Kitteridge, a retired schoolteacher, deplores the changes in her little town of Crosby, Maine, and in the world at large, but she doesn’t always recognize the changes in those around her: a lounge musician haunted by a past romance; a former student who has lost the will to live; Olive’s own adult child, who feels tyrannized by her irrational sensitivities; and her husband, Henry, who finds his loyalty to his marriage both a blessing and a curse. As the townspeople grapple with their problems, mild and dire, Olive is brought to a deeper understanding of herself and her life – sometimes painfully, but always with ruthless honesty. Olive is profoundly flawed, and profoundly noble, and she is each of us. She exists to mirror ourselves, whether we want to see ourself as we really are or not.